Council bosses have pledged to plough almost £12 million into Birmingham schools in a bid to drive up standards in the wake of the Trojan Horse scandal. A 50-page action plan released on Wednesday revealed a raft of proposals by Birmingham City Council to improve education in the city - at a cost of £11.6 million being spent between April this year and the end of the 2017 financial year. The detailed budget in the &apos;Education and Schools Strategy & Improvement Plan&apos; includes more than half a million pounds to be spent on training and looking after school governors. It comes after the Trojan Horse scandal, in which hardline Muslims allegedly attempted to take control of governing bodies at five Birmingham schools. Next April the council plans a recruitment campaign to attract new school governors – with rigorous checks in place to prevent any potential extremists slipping through the net. And the three-year plan includes a report that has been commissioned – due to be published in June next year – which will debate whether secular schools should provide daily Christian acts of worship. The plan also promises to see all five schools embroiled in the scandal, which were all placed in special measures in April by Ofsted after being rated as inadequate, are turned around and deemed &apos;good&apos; in the next 12 months. School leaders and students from schools involved in the scandal will be taught skills to "cope with radicalisation", while guidance will next month be sent to schools setting out rules to safeguard against religious extremism. It also sets out plans to introduce a system by September 2016 in which schools, police, health and other front-line agencies work together to identify people at risk of being drawn into terrorism. And a new management system, including a small task force, will also be put in place to manage complaints raised by teachers and whistle-blowing. 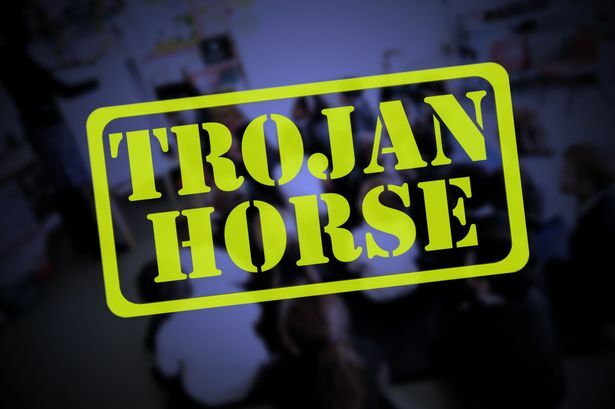 It comes after education watchdog Ofsted&apos;s chief inspector Sir Michael Wilshaw last week blasted the council for failing to properly deal with complaints by head teachers in the Trojan Horse scandal who claimed they had been pushed out of schools by governing bodies. The plan, which is aimed at improving all schools across the city – not just those involved in the Trojan Horse plot, also includes a new council "operational group", with education commissioner Sir Michael Tomlinson at the helm. The group, which will meet fortnightly, will include an education and schools board, which will be made up of key players in the sector. The council will also work with free schools and academies, which are not within the control of local authorities and do not have to follow the national curriculum, to ensure they understand safeguarding rules. Commenting on the plan, Coun Brigid Jones, the council&apos;s cabinet member for children and family services, said: "Education has the power to transform lives. "Every child in Birmingham has the right to a fantastic childhood and the best preparation for adult life in the modern world." She said the plan aims to "tackle uncompromisingly" the weaknesses and failings of the council highlighted in the damning reports by Peter Clarke and Ian Kershaw triggered by the Trojan Horse scandal. "As an immediate priority we know we must address the issues of safeguarding and governance which have left some of our schools vulnerable," she said. "We must strengthen the links with and between all our schools to ensure all pupils are safe, standards are the highest and statutory requirements are met with confidence. "We must also strengthen links between schools and other parties across the city, against a national tide of increasing fragmentation. "We will intervene speedily where schools are not meeting expectations, whilst respecting their autonomy in other areas. We will enhance our governor and school improvement services. "We aim to celebrate and make full use of the expertise that exists within our outstanding and good schools. And we support the development of collaborative local leadership as the bedrock for the future."